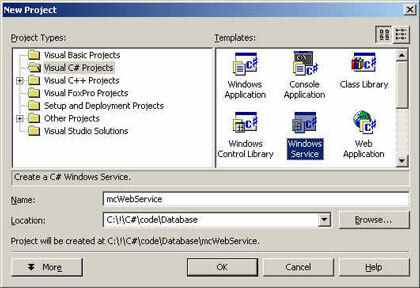 NOTE: The project name in this sample code is mcWebServicewhich is a spelling mistake. 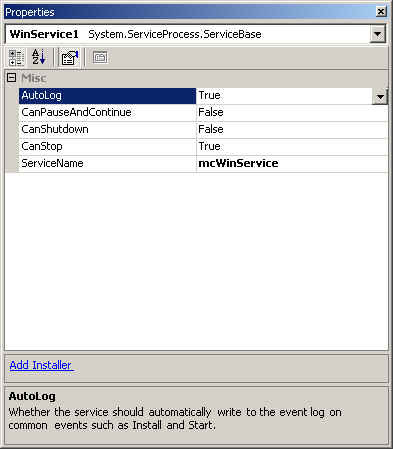 I meant to put mcWinService. And now I don't want to change all the screen shots and code all over again. I hope it won't confuse you :). Ok, its time for one more tutorial. This times pick is Windows Services. 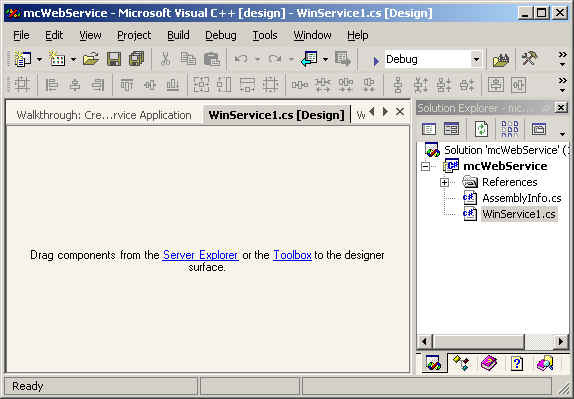 Creating Windows Services is not a big deal using C# andVisual Studio . 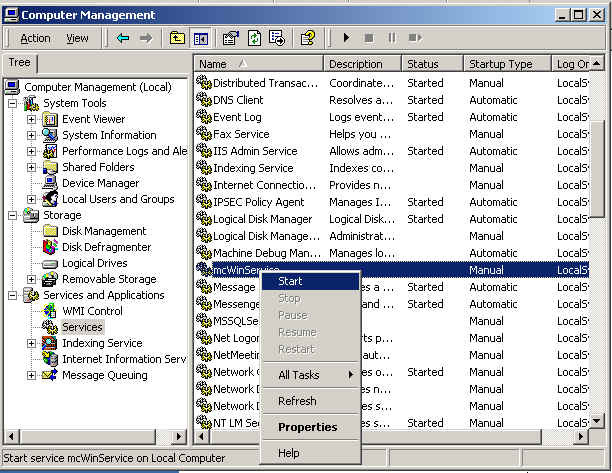 Just follow few simple steps and you are all set to run and test your first Windows Service. This is the name you will be looking for later :).